Magnificent polar bears depend on Arctic sea ice to hunt and raise their young. But the ice is shrinking. By helping protect polar bears you’re helping to make sure the Arctic food chain stays healthy – for the benefit of wildlife and people in and beyond the Arctic. 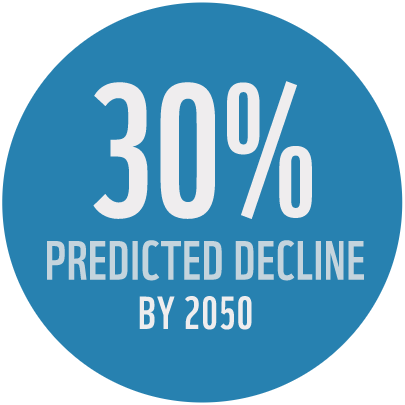 By 2050, polar bear numbers may decline by 30% due to the rapid loss of sea ice. Animal adoptions like yours give a huge boost to our work. They not only help to fund our work with local communities to reduce human-bear conflict, and projects to reduce the impacts of climate change, but also fund our other vital work around the world. 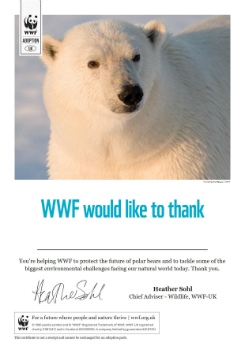 Give a gift that will help protect the future of polar bears and their habitats. Polar bears generally live and hunt alone, though they can be quite social. 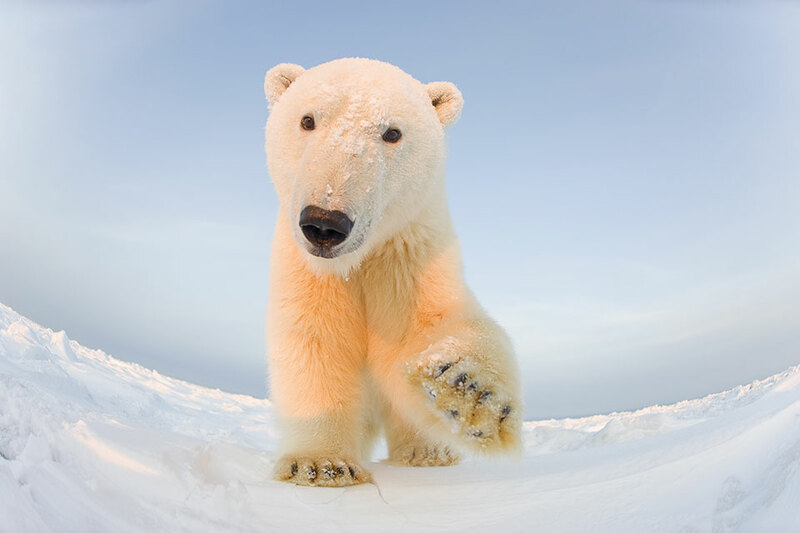 They mainly eat seals; polar bears have such a remarkable sense of smell that they can detect a seal swimming in the water – below a metre of compacted snow – up to a kilometre away. Climate change is the single greatest threat to polar bears as they are uniquely adapted to live on sea ice, and that ice is disappearing. As sea ice declines, the Arctic is opening up to oil and gas exploration and increased shipping which may affect the delicate balance of the Arctic ecosystem. Hungry and curious polar bears may stray into villages, leading to conflict between people defending themselves and their families. Toxic chemicals and pollution in the marine environment increase in toxicity as they move up the food chain - and polar bears are the top of the Arctic food chain. 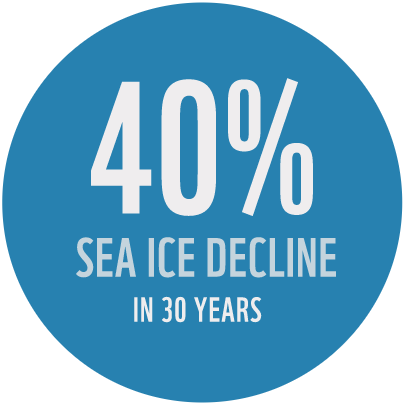 We need to minimise the warming that’s melting the polar bear’s habitat: sea ice. To do this we’re working to help cut global greenhouse gas emissions and encourage the switch to renewable energy. We work with communities across the Arctic to try and avoid them coming into conflict with polar bears. In northern Canada we’ve provided steel food storage containers so people can store their food outside without it attracting unwanted attention. Keeping some distance between polar bears and people is safer for all. We fund research that aims to further our knowledge and understanding of polar bear populations, and how they could respond to changes in their environment. Polar bears have large paws - up to 30cm wide - which they use like paddles to help them swim. They also distribute their weight over thin ice so they don't fall through.